Replicating data into Hadoop is achieved by generating character-separated values from ROW-based information that is applied directly to the Hadoop HDFS using a batch loading process. 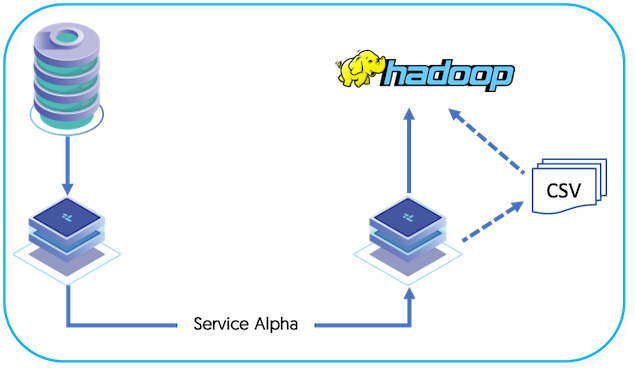 Files are written directly to the HDFS using the Hadoop client libraries. A separate process is then used to merge existing data, and the changed information extracted from the master database. Source tables must have primary keys. Without a primary key, Tungsten Replicator is unable to determine the row to be updated when the data reaches Hadoop.